06 Apr KEEP YOUR CHILDREN ACTIVE THIS EASTER HOLIDAY! 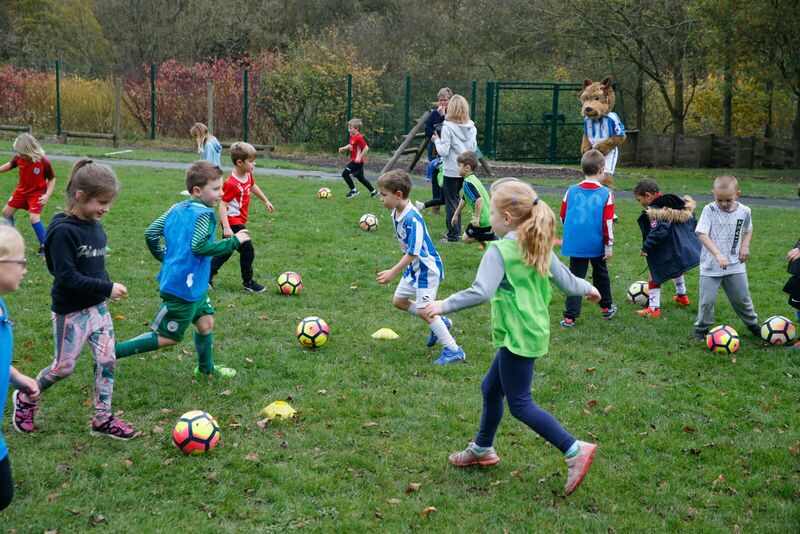 The Town Foundation has organised special Tomorrow’s Terriers sessions throughout the holidays for those energetic football lovers. With fully qualified staff trained to induce fun and top quality training programmes, it’s a no brainer! Sessions will run between Monday 15 April and Thursday 18 April, as well as between Tuesday 23 April and Friday 26 April, so book your children in! The camp runs in association with Kirklees Active Leisure and will be taking place at the Leeds Road Sports Complex (HD2 1YY). The day will be packed full of drills, skills, matches and even penalty shoot outs! The perfect session for your child to have fun as well as learn a new skill. The jam-packed, fun-filled sessions are available for just £16 per day – if you have a KAL Flexi Card – or £20 per day without one. Remember, if you’ve purchased a Junior Season Card for the 2019/20 campaign, then your child is entitled to book on to a FREE half-day session! To take advantage of the offer, please call 01484 503 764 or email coaches@htafcfoundation.com quoting ‘May Season Card Holder’. The day will start at 10am until 3pm, so for those that like your sleep, it’s not as early as normal school! But if you’re in a completely different boat and you need to come a little early or perhaps stay a little late, that’s no bother! For an extra £5 per day you can drop the children off from 9am and pick them up at 5pm. You’ll need to bring a packed lunch for the day as well as appropriate footwear and you’re good to go! There is only a limited number of spaces available, so make sure you get in touch now to book your place! Call Kirklees Active Leisure on 01484 766 131!